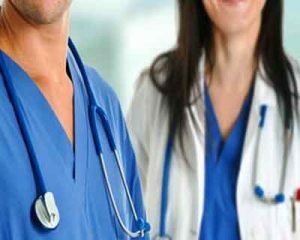 New York: The Association of American Medical Colleges (AAMC) has projected that the United States (US) may face deficit of 121,000 medical professionals by 2030. According to the AAMC, the deficit scenario would get worst if the foreign-born doctors keep struggling for a license in the US due to the complicated immigration policy. The AAMC report explained that in particular there would be a shortage in four broad categories: primary care, medical specialties, surgical specialties, and other specialties. The foreign doctors aspiring to work in US are bound to follow a tedious procedure.procedure. They first get themselves graduated from a medical course in their own country. After an average seven years of study, if they want to pursue medical profession in the US, they must first get through the entire procedure to gain a student visa and take an English exam. Then, they have to study in the US for an average of about three years to be able to pass the four exams making up the USMLE and be able to foot the bill for all that study and test prep with online courses that cost up to $30,000. Even if they make it through the entire process, the immigrant doctors face the dilemma of how to work in the US when their student visas get expired. The Test Preparation company has its offices in Chicago, Pasadena, New York and Houston. It specializes in preparing people to take dozens of standardised tests and licensing exams, including the US Medical Licensing Examination, and later for their residency period in hospitals and medical centres. The procedure, Fox-Isicoff said, includes applying for a J visa, which is granted in situations where someone is obtaining professional training but it obligates the recipients to return to their countries of origin for two years when they have finished the residency period, thus running the risk that they will “lose their contacts and forget what they (learned) here”, reports the daily. The whole world is going more open, and the medical world seems to be reverting to the ancient days.